They were found in the 1960s in ravines and caves near Ocucaje, a neighboring village of the city Ica, just a stones-throw away from the Nazca lines in Peru. The same place as where the skulls of extra-terrestrial people were found. The skulls are on display in the Ica regional museum (2) and are unique for their flat and elongated forms. Similar skulls have been found all over the world, like for example, in Siberia (3) and northern Iraq, Egypt, Malta and even Vanuatu in the South Pacific Ocean. A farmer named Basilio Uschuya first found the stones. He hauled sacks full of them to the market where they were sold to tourists. This piqued the interest of archeologists, who began investigating the origin of the stones. Word reached the Peruvian authorities, who then like true illuminati carried out a campaign to bring about a stop to the revelations. When threats didn't work, Basilio was thrown in jail, where he eventually signed a declaration stating that the stones were a false find and that he made them himself. It was an impossible statement that could not hold true when studies proved the intricate details of the carvings, but it was a big relief among archeologists around the world (4). Nobody knows exactly how many stones there are, presumably over one hundred-thousand (5). The stones are of andesite, a solid volcanic stone nearly impossible to engrave by hand labour. The University of Madrid studied the engravings and explained that it is highly probable that they were carried out over 100,000 years ago (6). The stones were found amongst fossils of millions of years old (7). In 1966, Javier Cabrera, a wealthy doctor from Ica, received an engraved stone as a present for his 42nd birthday. He wondered what it was, but was fascinated by the image of an extinct fish species that was on it. With his curiosity piqued, he searched and found Basilio. The farmer however was not at all prepared to reveal the truth, afraid of ending up in jail again. So Cabrera and the farmer agreed that he would be paid for every stone coming into Cabrera's possession, in the hope the secret could be unraveled. In the years following the farmer appeared with the most bizarre and unusual stones, the supply seemed never ending. Some were shaped no bigger than the size of a potato, others were blocks weighing hundreds of pounds. And the images were always with stylish perfection. Cabrera managed to collect over 11,000 stones (8). He and farmer Basilio became close friends and worked together to find geologists that would offer an explanation and identify the stones. But it never reached beyond a determination that the stones are "very, very ancient" indeed. 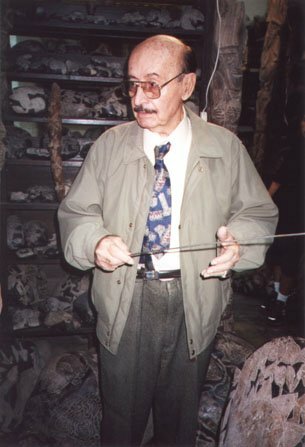 Cabrera wrote a book about the subject and passed away in 2001, at the age of 77. 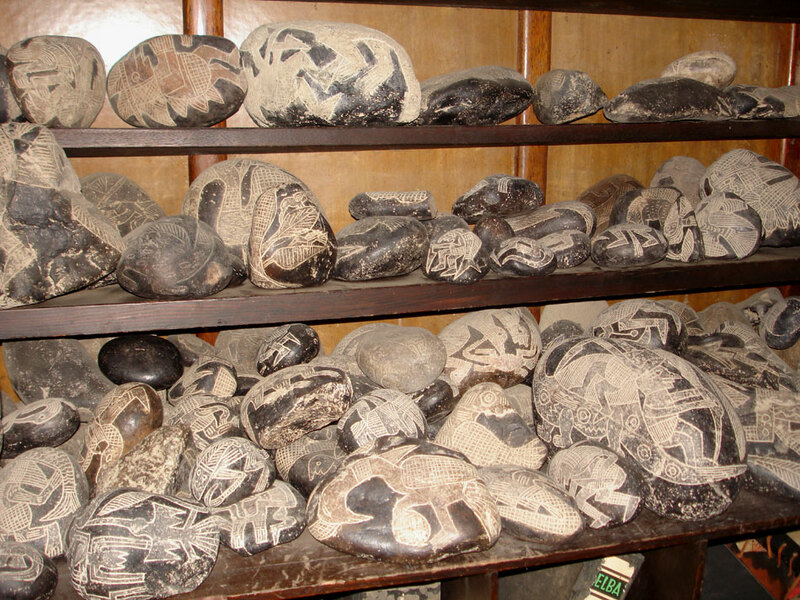 At present the stones can still be viewed at the small and dusty "Museum of the Engraved Stones of Ica" in Ica, Peru. But only by request (9). Our explanation for the stones is the same as that for the Waldemar Julsrud collection. Extra-terrestrial visitors who landed on the earth, set up camp and recorded their adventures and experiences by engraving the stones. The recordings could be from various time periods during their stay here or on other planets. When it was time to pack up and leave, they just left the massive heaps of stones behind. Just like with Adam's Calendar in South-Africa (10), the off-earth visitors very likely arrived for the purpose of mining. The Earth, especially in the territory of Nazca is extremely rich in minerals, which could be short on other planets. With their advanced technologies they would mine and excavate the Earth and transport the supplies on their spaceships back to their own planet. In the process, many signs and landmarks were left behind, like the "unexplainable" (according to mainstream scientists) Nazca-lines that reach for miles in straight lines across the surface and a flat landingstrip on top of a mountain, while the original mountain top is nowhere to be found (11). To express their creativity, they left behind funny figures on the plains and mountains now and then, and they adorned volcanic stones with their adventures.